We are manufacturers and Exporters of wide range of size of locking clamps for industrial metal and plastic drums. Supplying a wide range of Locking Clamp (Lever Laches) for plastic Drum, we offer precised press components & assemble work. 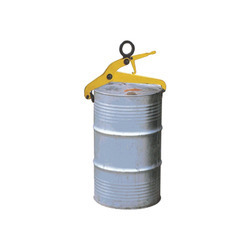 These are frequently used in petroleum and chemical industries where handling of standard gallon drums is required. Can be customized as per the specifications of our clients. Our organization "Chemical Machinery Mfg. Co." hold expertise in manufacturing and supplying superior grade fiber drum lock in Ankleshwar, Gujarat, India. Our offered fiber drum Lock is widely appreciated by our customers, which are situated all round the nation. Known for its best quality, clients can avail this fiber drum Lock at industry leading prices from us. - Uses: Chemical, Oils etc. We are actively engaged in manufacturing an extensive range of Drum Closing Clamp for catering the diversified requirements of our clients. We are manufacture of all types of clamp. - Moc: GP and CRC Strip and SS .304 , 316. - Used: Metal Drum , Fibre drums and Plastic Drum Locking Rings. - Sizes: As per the client’s requirements. Our organization manufactures a comprehensive range of Clamps for Steel Drum Locking Rings, which is of optimum quality. These products are manufactured using high grade raw material like steel and advanced technology. Owing to the quality features of these clamps, these are highly demanded in markets across the country. Owing to our rich industry experience and knowledge, we are engaged in manufacturing and supplying a wide range of Steel Drum Locking Clampthat is available in enormous specifications. 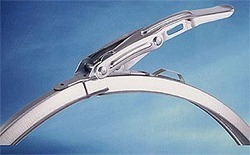 We are a prominent name engaged in providing the best Drum Locking Clamps. Made of quality metal such as stainless steel and others, Drum Locking Clamps are sturdy and strong enough to withstand high pressure. Drum Locking Clamps are available with us in different specifications, catering diverse demands of the clients.